We all know of the various benefits that camping with a hammock has to offer but there is always one problem, they are difficult to pack and transport. However, thanks to a brilliant new invention, that is no longer the problem. 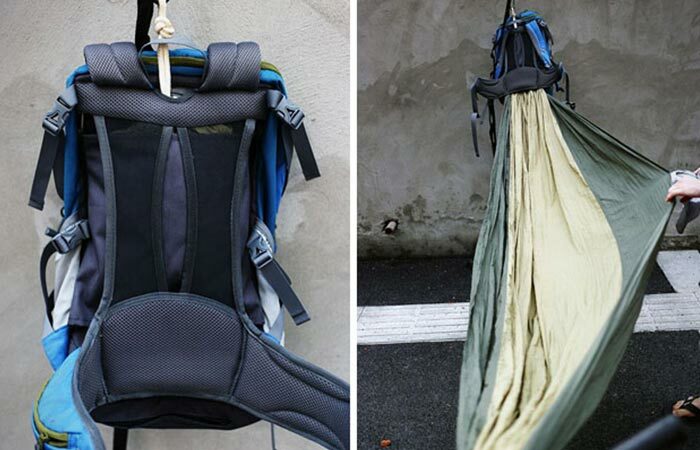 Introducing the HackedPack Hammock Backpack! The HackedPack is extremely easy to use and ensures that your camping trip will be a breeze. Perfect for camping, hiking or adventuring, with the HackedPack you’ll always have a place to sleep and a way to store all your goods. There’s nothing as comfortable as a hammock since it keeps you off the ground and it’s so much better considering that it is a backpack as well. What makes the HackedPack unique lays in the fact that not only does it give you an easy way to store your hammock and can be set up in seconds, but it also has a 25-liter capacity so that you can store all of your camping essentials. The hammock itself is also something to boast about since it measures an impressive 9 feet in length and 5.5 feet wide which, in turn, essentially makes it a double hammock and with a carrying capacity of 500 lbs, you and your partner will never sleep on the ground again. The HackedPack was designed for comfort as can be seen by the padded shoulder straps and stomach strap so that you can trek for hours on end without any discomfort. 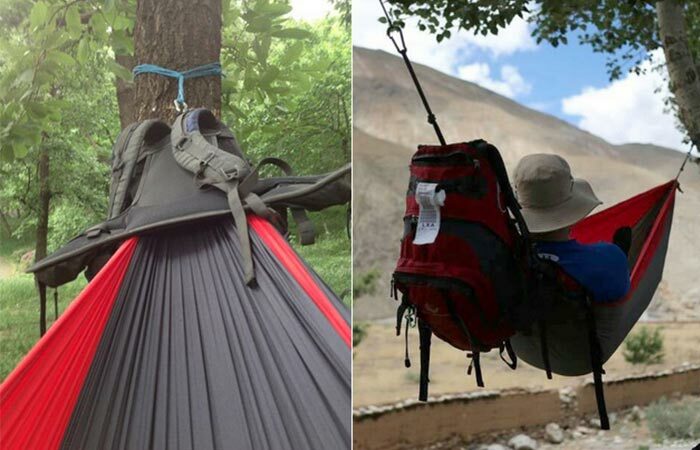 The hammock is also extremely easy to set up and can take less than a minute since it comes supplied with two woven nylon tree straps and two heavy duty aluminum alloy carabiners. We mentioned earlier that the HackedPack also has a 25-liter volume for all your essentials and that is divided up into 16 different compartments. To make it even better, the HackedPack is fully customizable and can even fit a hammock of your choosing but it is ready for use straight out of the box. The HackedPack Hammock is 9 feet in length and 5.5 feet wide and has a carrying capacity of 500 lbs which makes it perfect for two people.